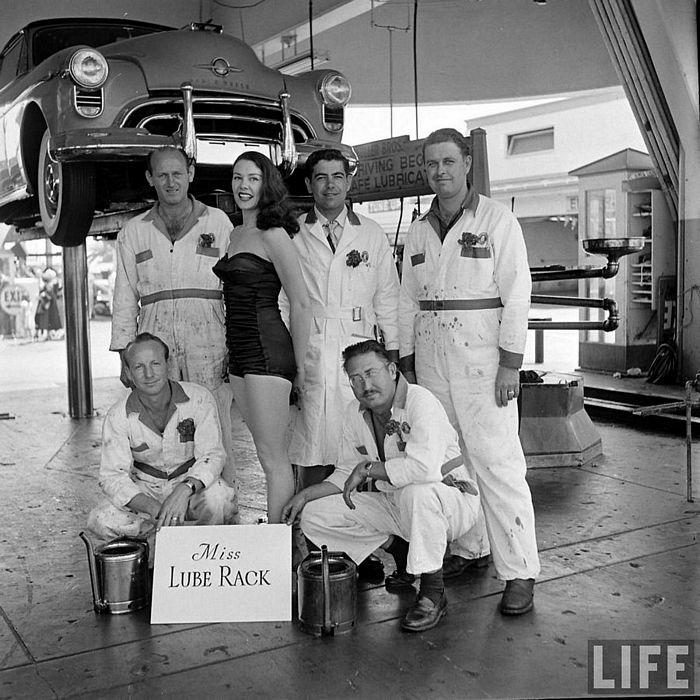 FACT CHECK: Nancy Pelosi - Miss Lube Rack of 1959? Does this title rank among the achievements of the long-serving member of the U.S. House of Representatives? 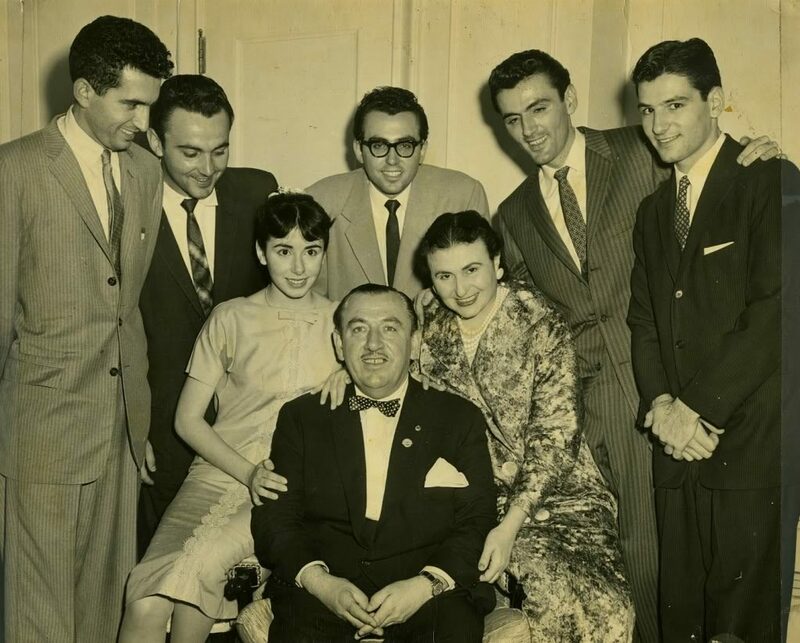 Photograph shows a young Nancy Pelosi as "Miss Lube Rack" of 1959. In 1951 the Muller Bros., an Oldsmobile-Firestone Tire-Car Wash-Cafe-Body Shop-Home Appliance-Auto Supply Dealer located at Sunset and Ivar in L.A., California, named their complex “The Landing.” With good reason, they had everything you could want on one lot. It was giant compared to most new and used car dealers of the time, [it] even had a control tower. They came up with the idea to hold a beauty contest to celebrate the 3,000,000th car to be pulled through its car wash. Life Magazine was there to photo-document the PR event for the rest of us to look back on. Obviously, all the girls, the winner of the beauty contest, and the car wash winning dude, look pretty happy. 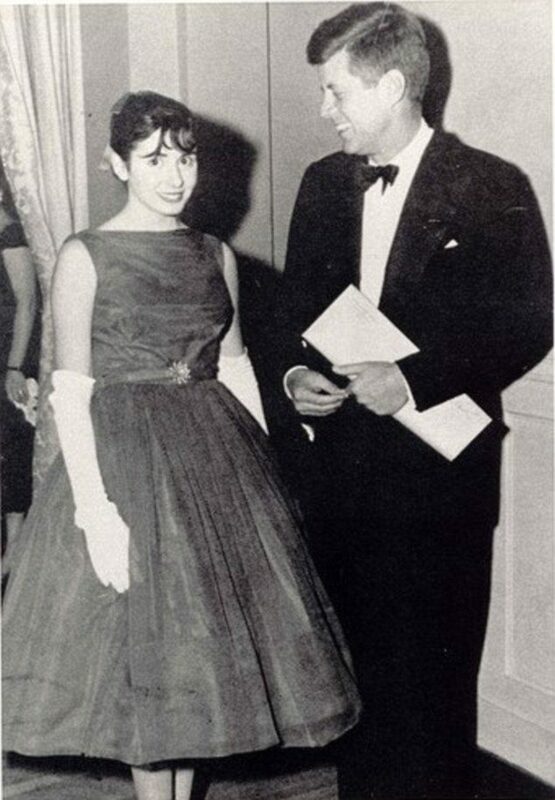 The dating of this photo to 1959 is a fiction concocted to make it plausible that the woman pictured could be a young Nancy Pelosi; in fact the photograph was taken in 1951, when Nancy D’Alesandro was but eleven years old and was living thousands of miles away from Los Angeles in Baltimore, Maryland (her father was mayor of that city from 1947 to 1959); quite obviously the young woman pictured as Los Angeles’ “Miss Lube Rack” of 1951 is not a prepubescent girl and therefore could not be eleven-year-old Nancy D’Alesandro of Baltimore, now better known as U.S. Representative Nancy Pelosi.